1. First choose your olive tree! From our vast range of olive trees – old, young, ancient and gnarly, even twisted or shaped, there is probably one style – or even one particular olive tree – that’s just right for you. But if you can’t find the perfect tree, just contact us and we’ll SEND YOU A PHOTO or VIDEO of a tree that we’ll select for you. Then you can order it, without even leaving your chair! Important – when picking an olive tree – choose it by trunk! When choosing an olive tree from our range whether it be an actual olive tree for sale on our web site, or ones we have selected and sent you a photo or video of, it is important to choose the trunk that really appeals. Due to the short growing season in the UK, the Olive Tree trunks devlop slowly. We are often asked, ‘if a buy a younger smooth trunk, how long will it take to become gnarly’. The answer is simple, it will not become gnarly. If you want an Olive tree with a characterful gnarly trunk then you will need to have one from the outset. The other thing to consider when choosing a tree is the crown (the leafy bit). We prune our Olive trees to encourage the branches to produce more and more shoots which in-turn develop into branches. The leafy bit grows and changes quickly so if you find a tree with the right trunk, do not be put of if the crown appears small ï¿½ it will not be small for long! Right: Here’s a tree that a customer asked us to select for them. The photograph shows the sort of detail you can get, plus one of our team standing next to it gives a great idea of height. We are happy to provide a 360 degree video of an olive tree too – simply ask and we’ll email it to you. Smaller olive trees are packed carefully in robust cartons to protect them in transit. Then we usually deliver these ourselves on our own transporters from one of our UK bases, or for more remote/special orders we can arrange for courier delivery to suit. Left: Packaging the selected olive tree. When you receive your olive tree, you will be able to plant or repot it where you wish. Mature olive trees are also carefully transported. Normally we will carefully “contain” the leaves and branches to prevent damage, then we will place onto a pallet and transport by truck. Very large and old olive trees can weigh a LOT! Please remember that after wrapping the crown of the Olive tree there will be some damaged bits to prune off. This is not a problem and infact at the point where you prune, multiple new shoots will grow. Access to the delivery address. For old, large olive trees, or if you have any concerns about access, we will discuss a full delivery strategy with you. Questions to ask yourself: What are the access situations to get to the final planting place? Walk through the route the olive tree will be taking from the road to the garden – eg: through archways, alleyways, overhanging trees or roofs. Also think about the driveway surface? Is it level? Stepped? Gravel? We’ll need to know as much as possible to ensure we can find the best way to get you the perfect tree. Sometimes we can work out the best access with you (For example, a number of properties in London simply don’t have any other access to their gardens than through the house) But the important thing is we’ve supplied so many olive trees, there’s no delivery issue we haven’t seen – and that means we’ve usually got the answer! When we discuss delivery over the phone we’ll sort out the best times and dates to deliver your tree. It will be delivered on a pallet. If you require assistance planting or repotting please ask at time of booking. This is an additional service, but as specialists in olive trees, we have many excellent gardeners and landscapers on our books so we can advise at time of ordering. 5. Once your olive tree is delivered…. Of course the next stage is all about where you want the tree, how it will be sited and, of course, how big that Olive Tree actually is! Here’s a fairly standard scenario with the siting of a large olive tree at a house in the countryside. The hole had been prepared at the right size (we tell you what size over the phone, according to the tree you buy). The soil here was perfect, well drained and not too rich, so a few bags of John Innes compost Number 3 were added into the hole before the gardener sited the tree. For this project the contractors used a telehander to put the tree into position. There are 1000’s of local farmers around the UK who are normally happy to oblige. However, if you want to give the illusion of a pot for your olive tree, or raise your tree above the ground, but at the same time save on money and work – consider “building the pot around the olive tree”. Starting place: Here’s where you start thinking about the combination of the tree you want, and the space you have. You’ll know what sort of olive tree you want – old and gnarly, smooth trunked, tall, short, bushy, etc… so consider the sort of space it will need. Bear in mind that olive trees are very tolerant, but like well-drained soil. So, consider how you are going to allow for drainage. – will you dig up an area of patio, or pull up a few patio slabs underneath the “built planter”? – will you allow drainage holes in the sides of your “built planter”? Then there are two ways of creating your built pot. 2) You build the planter, then plant the olive tree in it when it is delivered. With both options you’ll need to determine the root size of your tree, and how much space it will need. Olve trees can cope with confined spaces, but if you want the tree to look at its most natural, then put a little thought into the container you are building. The container needs to be in scale with the crown of the olive tree, to balance the crown within the root. Consider visually what size container is going to look best with your tree. Consider if you are going to plant around your tree? Lavender, aromatics, and herbs look great, as do unusual grasses. We recommend you buy your tree first, and then decide on the size of the container you’ll build, once it’s in situ. – New sleepers (NEVER use old or used railway sleepers, they are contaminated with all sorts of oils and dirt, and can harm your tree and anything you plant around it) Certainly for the most inexpensive option the new sleepers are a swift and least costly solution, but the final result is excellent. 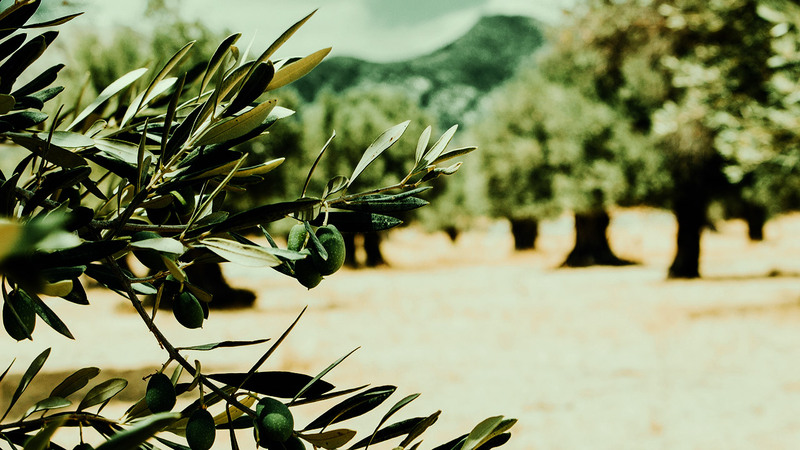 For more information or to find out the size of container the olive trees are currently in, simply email us on: info@villaggioverde.co.uk and tell us which tree you are interested in.